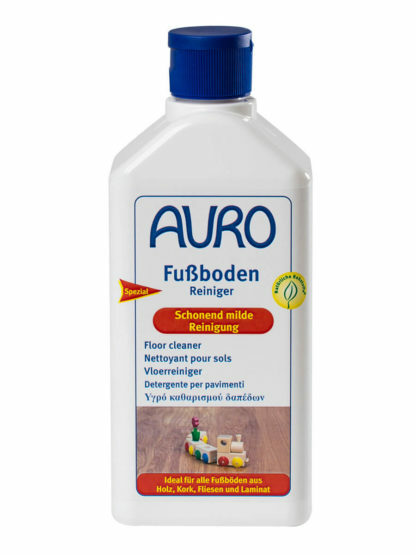 Universal floor cleaner for all floors treated with (AURO) oils, waxes or floor paints. Also suitable for linoleum, laminate flooring and tiles. Clean the floor by sweeping. Dissolve the cleaner in warm water and wipe with a damp cloth. Finally wipe with clear water. Dosage on 5 l water: 5 ml (ca. 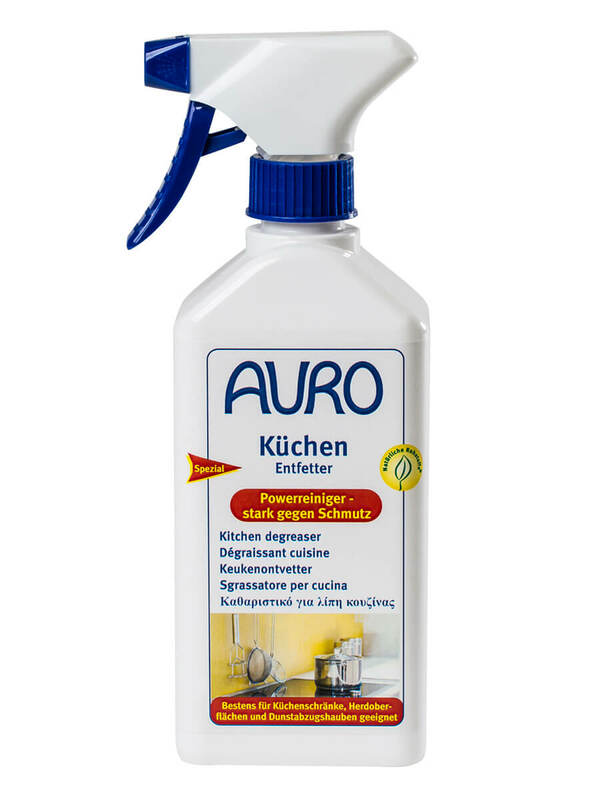 1 teaspoon) on lightly soiled surfaces, 25 ml (2 tablespoons) on medium to heavily soiled surfaces. 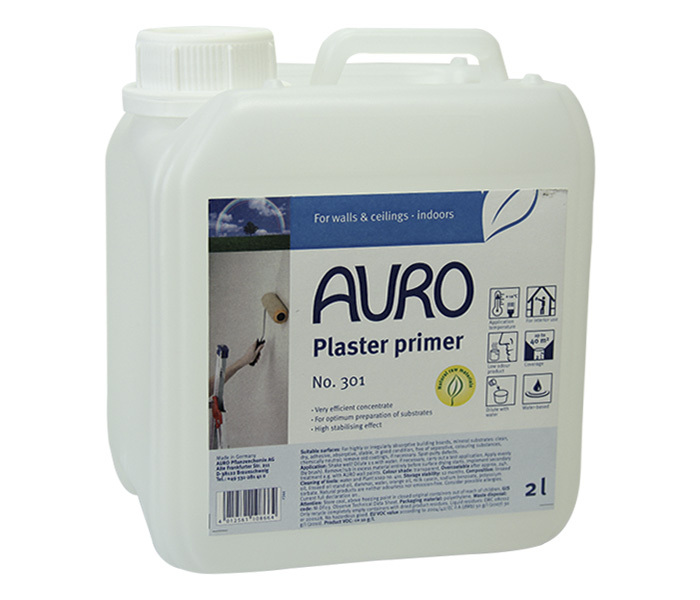 Delicate surfaces can be damaged if undiluted product is applied.